Tags: demography, Human Society of United States, Kerby Anderson, Point of View, Politics, population shift To share or post to your site, click on "Post Link". Please mention / link to the ARRA News Service. Thanks! 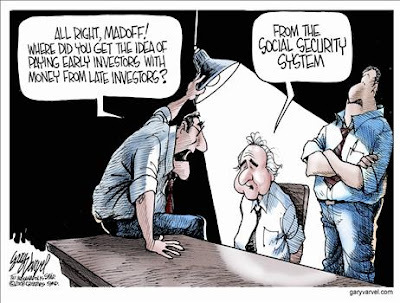 See also: What Did We Learn From Madoff? Tags: fraud, government failures, Ponzi scheme, social security To share or post to your site, click on "Post Link". Please mention / link to the ARRA News Service. Thanks! Tags: Congressional pay, economic stimulus, Family Research Council, FRC, government waste, Tony Perkins, US Congress, Waste To share or post to your site, click on "Post Link". Please mention / link to the ARRA News Service. Thanks! President George W. Bush is leaving office with the nation facing serious economic conditions He did not want to add to that the collapse of the domestic automotive industry which could lead to the loss of over two million more jobs. As a result, he has authorized a "bridge loan" that allows GM and Chrysler to survive until March 31st. This gives the new Obama Administration about ten weeks to work up a longer lasting solution. According to Bloomberg: Bush announce that General Motors Corp. and Chrysler LLC will get $13.4 billion in emergency government loans in exchange for substantially restructuring their businesses. Another $4 billion will be available to GM in February provided Congress releases the second half of the $700 billion Troubled Asset Relief Program fund originally set up to bail out financial institutions. The automakers have until March 31 to meet the conditions of the loans, including demonstrating they have a plan to become profitable, or be forced to repay. Winning the assistance is a reprieve for GM, the biggest U.S. automaker, and No. 3 Chrysler after they said they would run out of operating funds as soon as this month. The loan term is three years. GM would get $4 billion by Dec. 29 and $5.4 billion by Jan. 16. Chrysler would get $4 billion by Dec. 29. GM would get another $4 billion by Feb. 17, provided Congress releases the TARP funds. Under the terms of the plan, the government’s debt would have priority over any other creditors. The automakers also must provide warrants for non-voting stock, accept limits on executive pay, and give the government access to financial records. No dividends may be issued until the loans are repaid. In addition, the automakers must cut their debt by two-thirds in an equity exchange. For workers, GM and Chrysler would be required to make half of the payments to a union retirement fund in equity and eliminate a program that pays union workers when they don’t have work. Unions and management would have to negotiate a plan to have compensation and work rules in place by Dec. 31, 2009, that will make the U.S. companies competitive with foreign automakers. The requirements could be modified by negotiations with the union and debt holders. GM and Chrysler will pay at least 5 percent on the loans, and would pay 3 percentage points over the London interbank offered rate should Libor exceed 2 percent. The average cost of loans to high-risk, high-yield companies in dollars is a premium of 10.5 percentage points more than Libor, according to Standard & Poor’s Leveraged Commentary and Data unit. Tags: auto industry, bailout, Bloomberg, Chrysler, GM To share or post to your site, click on "Post Link". Please mention / link to the ARRA News Service. Thanks! The Religious Freedom Coalition reported that in November, 2008, just days after receiving billions of our tax dollars for a bail-out, American Express canceled credit lines of all their small business customers, making it impossible to buy inventory for Christmas and causing layoffs. At the same time American Express canceled the credit lines of non-profit organizations, including nonprofits like the Religious Freedom Coalition. Today, Standard & Poor's cut its rating on American Express Co by one notch due to increasing financial pressure on consumer lenders, the rating company said. S&P cut its ratings for American Express by one step to "A," or five steps above junk, from "A-plus." The outlook is negative, suggesting more cuts may come. It appears that American Express was willing to apply and take our tax dollars to help bailout their business while at the same time not doing what was expected but instead shafted their clients: American small businesses and non-profit organizations. Are there any other Americans who would like their bailout (tax money) back from American Express? Tags: American Express, bailout, nonprofits, small business, taxes To share or post to your site, click on "Post Link". Please mention / link to the ARRA News Service. Thanks! OBAMA IN HOT WATER - President-elect Obama is in a lot of hot water with the homosexuals who gave him millions of dollars during his campaign. 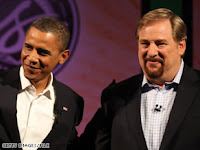 His pick of Pastor Rick Warren to give the invocation at his inauguration has homosexuals hot, angry and calling names. To them freedom of speech is anything they agree with and nothing more. Read more. 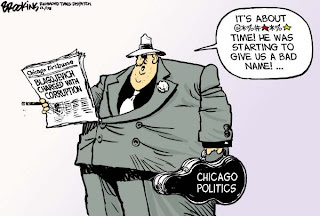 Tags: Barack Obama, government transparency, Rahm Emanuel, Rick Warren, Scandal, William J. Murray To share or post to your site, click on "Post Link". Please mention / link to the ARRA News Service. Thanks! by J. Justin Wilson, LaborPains.org: Ever wondered what a UAW contract looks like? Here is all 22 pounds of it (in this case, Ford’s 2,215 page 2007 master contract; Coke can is for scale and because I was thirsty). I’ll tell you this much, those 2,215 pages don’t include much regarding efficiency and competitiveness. What you’ll find are hundreds of rules, regulations, and letters of understanding that have hamstrung the auto companies for years. Update: CBS Nightly News “gained access” to the Ford contract. Tags: Chrysler, Ford Motor Company, General Motors, GM, UAW, union contract To share or post to your site, click on "Post Link". Please mention / link to the ARRA News Service. Thanks! A couple of interesting polls are out on last week’s failed auto bailout legislation. The Washington Post (look hard - on page D8) writes, “Most Americans continue to oppose a government-backed rescue plan for Detroit's Big Three automakers as majorities blame the industry for its own problems and are unconvinced failure would hurt the economy, according to a new Washington Post-ABC News poll.” 55% of those polled in the Washington Post-ABC News Survey opposed the legislation. Despite the spin from Democrats trying to point fingers at GOP senators, Americans by far place the blame on the management of the auto companies and the unions. Another Politico story reports that the uncertainty surrounding seats in Minnesota and Illinois “has sparked a turf battle within the Senate chamber over just how big an edge Democrats will hold on critical committees.” Which party holds those two seats will affect the ratio of Democrat seats to Republican seats on key committees such as Finance, Banking, Budget, and Energy, that will be front and center on key pieces of legislation next year. 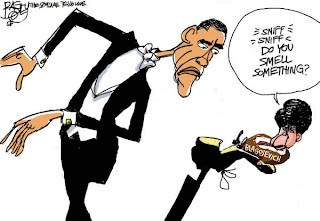 Tags: auto bailout, committee appointments, Democrats, Gallup Poll, labor unions, National Review, US Senate, Washington D.C., Washington Post To share or post to your site, click on "Post Link". Please mention / link to the ARRA News Service. Thanks! Paul M. Weyrich, Chairman and CEO of the Free Congress Foundation and first president of The Heritage Foundation, died this morning around 1 am. He was 66 years old. Weyrich was a good friend to conservatives, a true leader and a man of unbending principle. Our thoughts and prayers are with his family. Republican National Committee Chair Mike Duncan expressed, "Our thoughts and prayers go out to the family and friends of Paul Weyrich, whose life work was instrumental in the development of Conservative thought. As the first president of the Heritage Foundation and respected leader of other Conservative organizations and coalitions, Paul's service to America has embodied and further advanced the Republican Party's core values of limited government, lower taxes, and individual responsibility. We are saddened by the passing of Paul Weyrich, but we know that his contributions will continue to resonate for generations." House Republican Leader John Boehner said in a statement, "Paul was one of the giants of the conservative movement – a man committed to family, faith, and preserving and expanding freedom both here in America and around the world. His passing is a great loss for conservatism, and for our country. Paul was right from the start, as a volunteer for Barry Goldwater’s 1964 presidential campaign. The Heritage Foundation – which he co-founded and helped organize – provided a roadmap for Ronald Reagan’s presidency and continues to serve as a leading public policy research institute for the conservative movement. For more than four decades, Paul shaped American politics through his leadership, his writing, his activism, and his passion. He will be missed." Carter L. Clews, Americans for Limited Government said, "Paul Weyrich was a giant of a man to whom all conservatives owe a lasting debt of gratitude. It is safe to say that there is not a conservative institution in America today that does not bear his imprint and carry forward his legacy. Back in the dark days of the 1970s when I first met Paul, he embodied the dream of a conservative emergence. Though then, he was, indeed, a 'voice crying in the wilderness,' he would with dogged determination take he lead in fomenting a revolution that brought Ronald Reagan and a Republican Senate majority to power." 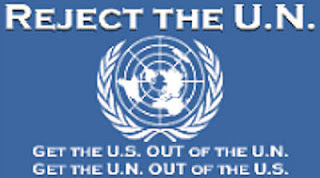 The Next Conservatism, A Serious Agenda for the Future by Paul Wyrich - Dec 18, 2008: It was the best of times. It was the worst of times. It is the worst of times because millions of Americans are unemployed this Christmas. It is the worst of years because we have mortgaged the future of our children and grandchildren for decades to come. It is the worst of years because many good friends have left us. It is the best of times because we still live in the greatest nation on earth. It is the best of years because we have the freedom to speak our minds. It is the best of years because we can organize as we see fit to support the political candidates of our choice. It is the worst of years because we have to witness the troglodytes from hell kill innocent people in Mumbai, formerly Bombay. It is the best of years because we have a peaceful transition from a Republican to a Democratic President with exemplary co-operation between President George W. Bush and President-elect Barack H. Obama. It is the best of years because the test of the sea-based missile defense system has worked. It is the worst of years because most of America is not defended against a missile attack. It is the best of times because the 22nd city opens a light-rail system this December after light-rail nearly died out a few years ago. It is the worst of times because the Bush Administration has turned down 70 some cities which want light rail or streetcars. It is the best of times because Amtrak has set records in number of passengers carried. It is the worst of times because the airlines carry more people on one day than Amtrak does in a year. It is the best of years because various factions are co-operating toward an agreement about the withdrawal of United States troops from Iraq. It is the worst of years because we are struggling in the war in Afghanistan. It is the best of times because medical science continues to make great progress. It is the worst of times because we are about to suffer a government takeover of the most successful medical system in the world. It is the worst of times because conservatives appear lost and without a serious agenda or a means of explaining such an agenda to the public. It is the best of times because Free Congress Foundation has a serious agenda called the Next Conservatism which should ignite a meaningful debate about the future. Rob Bluey, The Heritage Foundation, appropriately summed up most of our feelings: "Weyrich will be deeply missed. Our thoughts and prayers are with his family, including son Steve, who currently works at Heritage." Bill Smith, ARRA Editor shared, "We were not ready Paul to leave us at the young age of 66, but we know that he is still pulling for us. Young conservatives would do well to read and head his words. My prayers are for his family and others who are miss him. Paul, thank you! See you again in a few days." Tags: conservative, Paul Weyrich, dead To share or post to your site, click on "Post Link". Please mention / link to the ARRA News Service. Thanks! 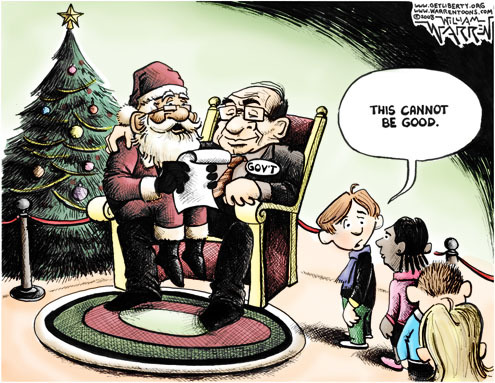 Tags: political cartoon, William Warren, Government, can't be good, Santa To share or post to your site, click on "Post Link". Please mention / link to the ARRA News Service. Thanks! I would submit that Arkansas is fertile ground for Republicans. Now I know there will be some naysayers who will point to the massive number of state and locally elected Democrats as a reason why the GOP has no chance in my home state. That is certainly a factor, but these numbers show that there may be an window of opportunity, especially considering that we will have gone through two years of some curious votes by Democratic members of the Arkansas delegation in order to remain in the good graces of Nancy Pelosi, Barack Obama and their union money connections. As you can see, even in Arkansas’ most liberal-leaning district (AR-02), Barack Obama lost by nearly ten points. Can some of these numbers be votes against the guy who beat Hillary Clinton, or the guy who looked different, instead of a vote for John McCain? Yes. But some of those votes could also be attributed to a rejection of liberalism as personified by Barack Obama. 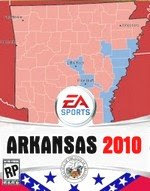 It is my hope that the Republican Party of Arkansas does not waste this opportunity in 2010. While it is important to strengthen the bench in local and state races, it is also important to use the current talent we have operating at a high level to challenge the sitting incumbent Democrats who may show us a conservative face at home, yet voted with Pelosi in the last Congress . . . Tags: Arkansas, Congressional race, Republican Party of Arkansas, Republicans To share or post to your site, click on "Post Link". Please mention / link to the ARRA News Service. Thanks! Democrats in Congress have been calling for a massive government spending bill ostensibly to stimulate the economy for almost a year now, but recently the proposed level of spending seems to be increasing on an almost weekly basis. Back in October, House Democrats passed a $61 billion spending bill, but not long thereafter House Speaker Nancy Pelosi said $150 billion was needed, and there was talk of $300 billion before the election. By Thanksgiving some Democrats were looking for at least $500 billion. Last Friday, Pelosi said that it would need to be “half a trillion, $600 billion, somewhere near that,” according to Politico. The news of the Obama team considering $1 trillion in news spending-a third of last year’s budget-comes on the heels of New Jersey’s Democrat Governor Jon Corzine telling the House Appropriations Committee that a $1 trillion program would not be unreasonable.” Unfortunately, the steady increase in spending estimates seems to be inversely proportionate to discussions of the deficit. The question of how is $1 Trillion (which is $1000 Billions or $1 Million Millions or $1,000,000,000,000) is going to be paid for isn’t one that should disappear from the debate. Is anybody concerned about the impact of such spending on the U.S. deficit? According to a new Washington Post-ABC News poll, the public is. The poll finds that 86% of respondents are concerned about the current size of the deficit and 49% are “very” concerned. And the question didn’t even say how big the deficit is or will be. President-elect Barack Obama may be saying “we shouldn’t worry about the deficit next year,” but the people who elected him may think differently. Tags: Barack Obama, Democrats, government spending, Nancy Pelosi, Washington D.C. To share or post to your site, click on "Post Link". Please mention / link to the ARRA News Service. Thanks! 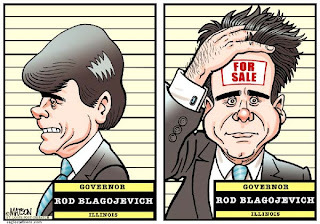 RNC Video highlights the evolving explanations delivered by President-elect Obama and his advisors concerning their contact with the embattled and scandal-plagued Illinois Governor Rod Blagojevich despite Obama's promises to instill greater transparency and confidence in government. This Right Perspective video is based on a comedy bit they made for their last week's show to introduce the whole Blagojavich/Obama scandal. The American political landscape looks like something ripped from the pages of "I, Claudius"! Thanks, Democrats! 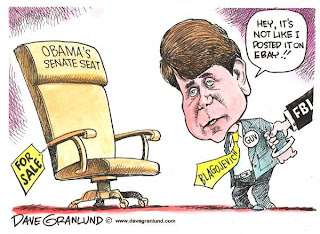 Tags: Barack Obama, Chicago, Illinois, Politics, RNC, Rod Blagojevich, U.S. Senate, video To share or post to your site, click on "Post Link". Please mention / link to the ARRA News Service. Thanks! by Stuart M. Butler, Ph.D., Heritage Foundation: Last week the Bush Administration tried to find ways to use the funds available in the Troubled Assets Relief Program (TARP) to bail out the Detroit automobile companies. That decision is just the latest of weekly, and sometimes daily, Administration reinterpretations of the TARP program's purposes. And no doubt the incoming Administration will continue this creativity and TARP will increasingly become a White House fund for politically sensitive companies. With $15 billion of TARP funds still immediately available, and another $350 billion available if congressional action does not block access to the money, it is time to end this program by canceling further Treasury authority to allocate funds. . . . The problem now is that the Treasury has . . . embarked on a troubling pattern of potentially harmful ad hoc policymaking and mission creep. A major example of this was Treasury Secretary Henry Paulson's announcement on Nov. 12 to suspend the original purpose of TARP and to use flexibility granted under the law to explore a wide range of alternative uses of the funds . . . . This step confused markets, reintroduced uncertainty into the pricing of mortgage-backed securities, and triggered a lobbying frenzy for ever-more "flexible" uses of the TARP funds. Tags: auto bailout, bailout, Detroit, Federal Reserve, government failures, government spending, Heritage Foundation, TARP, U.S. Treasury To share or post to your site, click on "Post Link". Please mention / link to the ARRA News Service. Thanks! Tags: abortion, atheism, Barack Obama, Bible, embryonic stem cell, Germany, Gideons, home school, human cloning, license plates, Public Schools, Robert Bork, social conservatives, Supreme Court, Vatican To share or post to your site, click on "Post Link". Please mention / link to the ARRA News Service. Thanks! by Ken Blackwell: The Reagan Coalition has been key to Republican victories for a generation. And although the issue of judges and the Supreme Court has been thought of as an issue for social conservatives, recent developments should now make it a top priority for the other major GOP constituencies. If effectively communicated, this issue may help fuel a Republican resurgence. Ever since 1980, politicos speak of the three-legged stool of the Reagan Coalition: social conservatives, economic conservatives and national security conservatives. This coalition has been the key to Republican victories for more than a quarter-century. When the coalition is mobilized by an effective campaign, the GOP prevails. When it is dispirited or disorganized, the GOP fails. Tags: conservatives, fiscal conservatives, national defense conservatives, Reagan Coalition, Ronald Reagan, social conservatives, Supreme Court, Ken Blackwell To share or post to your site, click on "Post Link". Please mention / link to the ARRA News Service. Thanks! Hillary Clinton's appointment as US Secretary of State has been challenged as unconstitutional. In fact it conflicts with Article 1, Section 6 of the Constitution which states: "No Senator or Representative shall, during the time for which he was elected, be appointed to any civil office under the authority of the United States, which shall have been created, or the emoluments whereof shall have been increased during such time." As for the second issue regarding Senator Clinton's appointment to be Secretary of State, there is a constitutional bar to her being appointed appointed to a position on which she voted to increase the salary to that position. However there is historical precedence by which Congress could vote to lower the salary back to the level it was before Clinton is appointed. Congress late Wednesday night lowered the salary by about $4,700 for Secretary of State to keep Clinton's nomination from running afoul of the Constitution. Secretary of State Rice makes $191,300. Congress rolled back the salary that the next secretary of state will get to $186,600, the salary that was in place when Clinton began her current Senate term in January, 2007. As a senator, Clinton currently makes $169,300. Clinton is expected to keep her Senate seat pending confirmation by the Senate next year. Republicans and Democrats have said they expect no serious objections to her confirmation. Tags: Hillary Clinton, Secretary of State, US Congress, US Constitution To share or post to your site, click on "Post Link". Please mention / link to the ARRA News Service. Thanks! Gary Lookadoo of NW Arkansas News reported on comments by US U.S. Rep. John Boozman (R-AR) who doesn't think the president has the authority to use some of the $700 billion approved for a bailout of Wall Street to help the Big Three Automakers. "I don't think they've got the authority to do it. I think this Congress has spoken. With the legislation that's being offered up so far, the so-called compromises and things that the Senate has not agreed to do ... Congress has voted," Boozman said. . . . Many other members of Congress have looked at the $700 billion bailout bill and agree with him that its language doesn't allow the White House to spend part of it on relief for the automakers. The $700 billion is being provided in two $350 billion installments, he said. Members of Congress might change their minds about the best use of the money before the end of the year. But most agree the legislation it previously passed doesn't allow the president or the Secretary of the Treasury to spend the money on an auto bailout, Boozman said. "There are some people in Congress who feel like it's appropriate to bailout the auto industries. There are others of us that don't feel like what they were asking for was appropriate. So you vote 'for' or 'against.' I think everybody agrees that it is Congress' responsibility and to take and use this other law that we passed and somehow start including a bunch of people that it wasn't intended to cover - I don't think that that's right or appropriate," Boozman said. 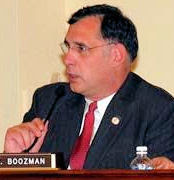 Boozman's comments leave us with the big question, "Does President Bush, Treasury Secretary Paulson, their staffs, House Speaker Pelois (D-CA) or Senate Majority Leaders Reid (D-NV) and Senate Democrat leadership understand or even care that they do not have authority to use any of the $700 bailout to aid the Big 3 auto industry in Detroit, Michigan?" Or is Rep. Boozman mistaken? Hope not! Tags: Arkansas, auto bailout, Harry Reid, Henry Paulson, John Boozman, Nancy Pelosi, President George Bush, Representative To share or post to your site, click on "Post Link". Please mention / link to the ARRA News Service. Thanks! 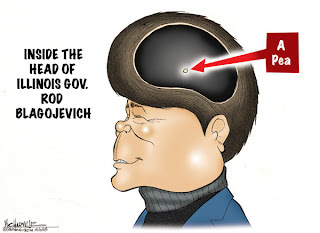 The video presented herein is by Workforce Fairness identifies that "Rod Blagojevich wanted a payoff, and the SEIU wanted payback." 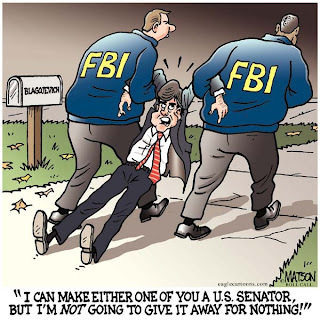 Who was negotiating with Blago for that Senate seat, and what were they after? 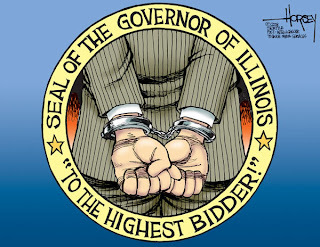 The answer is the SEIU who was Blagojevich's #1 contributor and spent $80 MILLION getting Obama and Democrats elected. And their #1 legislative priority is card check: depriving workers of their rights to a secret ballot and adding 20 million forced dues-paying members to their ranks. Did you notice a common word related to a thread of corruption and or control related to this story and to the Big 3 auto industry stalled resolution (verses a bailout)? How about, what group wants to take away a workers right to a secret vote? Who controls billions in pension funds? The common word: unions. We should be seriously concerned about whether organized crime was ever truly removed from the unions. Why did SEIU spent $80 million getting Democrats elected? And how much did the UAW and other unions spend getting democrats elected? Obviously, we should be concerned regardless of the political party of the elected officials being "bought" by the unions. Where or what is the union's payback? It is not patriotism! Why are the unions allowed to take union workers' money to buy congressmen, governors, and other elected officials? Don't tell us they are buying access or that the donations were for the future benefit of union workers. Also, define where unions support free speech and the individual secret voting rights of workers. Why are union funds going to candidates and elected officials who take political actions that are diametrically opposite of the values of the majority of union workers? 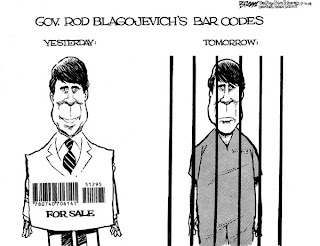 Tags: Blogburst, video, Card Check, civil unions, organized crime, Rod Blagojevich, Secret Ballot, SEIU To share or post to your site, click on "Post Link". Please mention / link to the ARRA News Service. Thanks! 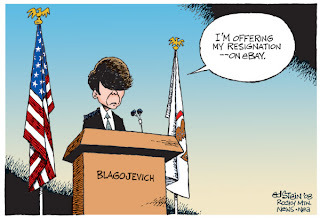 Tags: Barack Obama, Chicago, FBI, Governor, Illinois, political cartoon, Politics, Rod Blagojevich, U.S. Senate To share or post to your site, click on "Post Link". Please mention / link to the ARRA News Service. Thanks! Bill Smith, ARRA Editor: On Thursday, we noted the vote of Arkansas Blue Dogs on the House auto manufacturer bailout bill: "Rep. Marion Berry (D) and Rep. Mike Ross (D), alleged Blue Dogs, voted for the bailout." The term "Blue Dogs" has been used for democrats in the US Congress who claimed they were fiscal conservatives. However, their allegation of being fiscal conservatives have continued to be muted by their actual actions and votes. Over time, they have become big supporter of increased taxes to offset spending in an effort to evidence that they are fiscal conservatives. The majority of Blue Dogs are really big spenders who hide behind increased taxes and fees to cover their tacks.
. . . the Blue Dogs appear to have fractured wildly on these questions. Their membership is all over the map. Yes on both. No on both. Yes on Wall Street but no on the automakers. Yes on the automakers but no on Wall Street. They hang together pretty well when they're sticking it to immigrants or people who need bankruptcy protection. But when it comes to being "fiscally conservative" by directing billions of dollars designed to "save" entire sectors that are central to our economy, the Blue Dogs are almost entirely without meaningful cohesion. . . . This gang can't shoot straight, and surely ain't all it's cracked up to be. Tags: auto bailout, Blue Dogs, conservative democrats, Democrats, government spending, lender bailout To share or post to your site, click on "Post Link". Please mention / link to the ARRA News Service. Thanks!